And the list goes on, with more genre defining titles that we could realistically list here which got their start as a short story or novella. The question is, how do you get yourself on the list of greats and adapt a shorty story into a great film? You’re a little luckier when it comes to adapting short stories as for whatever reason, the need to be a literalist doesn’t seem to apply so feel free to rework things at your leisure to find the best fit for the screen. If all else fails, substitute the phrase “adapted from…” to “inspired by…” and you’ll be golden! This is more common with longer works, but even short stories it’s important to trim the fat and focus on what really matters. And as with any screenplay, it all boils down to three main ingredients: character motive, conflict and resolution. Pacing, of course, plays a big role in the enjoyability of both books and film. Preserving and translating the pacing of a short story in particular requires a little extra attention to get it right as you expand it into a 180 minute feature film. Occasionally, you’ll have to revamp things entirely as you may sometimes find a short story that is exceptional in every way except the pacing, but you’ll have the opportunity to do your job as a screenwriter and rectify this during the adaption process. How to go about optioning book rights is deserving of its own dedicated post altogether but if this is something you’d really rather skip, consider adapting works that are already in the public domain. Without any hesitation whatsoever, you can grab a short story and instantly start playing around. 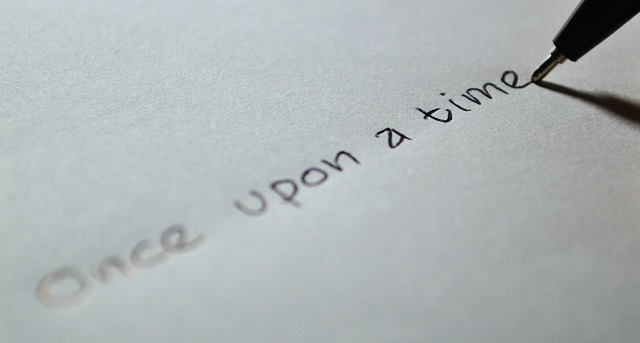 It’s a great way of not only putting your skills to the test but also pushing them to new heights—especially if you intentionally set yourself a challenge by picking a short story that’s really not suitable for silver screen adaptation! Got any tips of your own for adapting short stories to screenplays? Any particular favorite examples of the process being done well? You know where to head—we’ll see you in the comments below!